The premier event for the fragrance industry, the World Perfumery Congress will address “A Sense of What’s Next” in Nice, France at the Palais des Congrès Nice Acropolis, on June 5-7, 2018. Join International Flavors & Fragrances and our family, LMR Naturals and Lucas Meyer Cosmetics, to discover how we are pushing the boundaries and creating the future together with you. Visit our booth, located at 827 at the top Muses floor of the exhibition area, opposite of the Master Perfumer Workshop, to discover our latest breakthroughs, get inspired and spend some time with our team of experts and perfumers. Stop by to explore our latest release from R&D, Aquaflora™, offering distinct floralcy, a high impact aldehyde that brings transparent fresh Cyclamen and Muguet florals with a watery feel. Take a peek at the Aquaflora booklet now. Stop by to explore our extensive range of renewable ingredients supplying key building blocks as well as high-impact specialty molecules. Take a peek at the Renewable Ingredients now or explore our online compendium now. Explore the first lavandin absolute ever with an organic certification (by Ecocert) offering a clean, traceable and sustainable extract, with only the richest parts of lavandin, offering a long-lasting fresh, floral fragrance with a coumarine, hay-like background. The precious inner wood taken from 200-year old oak trees gives beautiful, rich and creamy undertones reminiscent of the best cognacs. Explore an exclusive and sustainable product from our sourcing platform in Bali. Its For Life™ certification delivered by Ecocert confirms that workers enjoy fair and safe working conditions and that the production has a positive impact on local community. The results: an elegant oil with a cleaner profile, and higher patchoulol content than traditional oils (>34% patchoulol vs 30% in traditional oils). This particular extract from our exclusive selection of Sichuan Pepper berries has a fresh, sparkling and clean effect of a pepper balanced by a juicy and floral bergamot. A breakthrough innovation, Greyverse is a clinically efficacious active ingredient that provides outstanding clinical results on gene expression and visible reduction in grey hair density to help men and women recovering a young look and increase their self-esteem. Extracted from the Australian lemon myrtle and titrated in Polyphenols, this urban, multi-ethnicity sebum regulator, is clinically proven to reduce comedones and papulae as well as reducing emotional distress and unclean sensations felt by consumers who have oily skin. This unique, sustainable, Red Maple bark extract, obtained from a circular economy concept, contains an exceptionally high level content of polyphenols, powerful antioxidants that contribute to the overall antioxidant and anti-aging properties of the ingredient. It stimulates ECM proteins and has outstanding effects on skin firmness, elasticity and wrinkle reduction after 14 days. This efficient, natural emulsifier acts as a skin complexion perfector, keeps the skin moisturized, and enhances bioavailability and penetration of active ingredients for improved efficacy. Emotionally approved by consumers over the world and never seen before, it triggers pleasure and wellness upon application for a whole sensory experience. Four innovative formulas designed to help formulators solve technical challenges, like conditions of high amount of oil phase, fragrance, alcohol, glycerin and urea without compromising sensoriality. 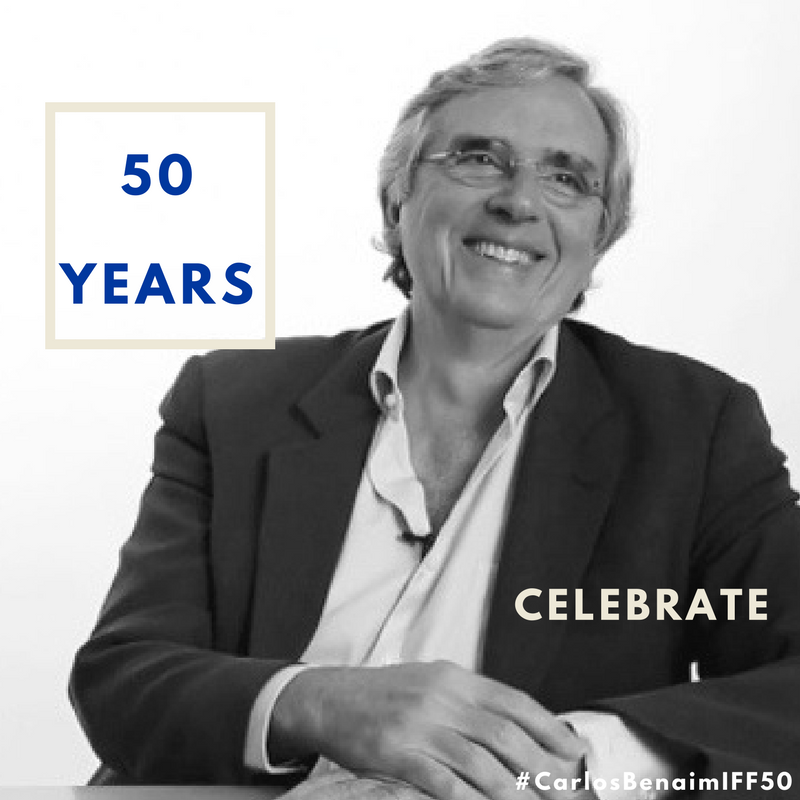 Master Perfumer Carlos Benaim and John Brahms, PhD, Scent Technology & Innovation Director of Fine Fragrances at IFF present Sillage in Fine Fragrance, on Wednesday, June 06 at 10:00 AM - 10:45 AM. Download the official 2018 World Perfumery Congress Mobile App and star this session to add it to your plan. What are the biggest changes that will shape the fragrance industry in the next decade? Our Global Vice President of Fine Fragrances, Dionisio Ferenc, takes the stage to “discuss the state of the fragrance business and market, as well as key challenges and opportunities in the near term” during the Fragrance Panel: Future-Proofing the Industry moderated by Farah Ahmed, CEO & President of the Fragrance Creators Association on Wednesday, June 06 at 4:05 PM - 4:50 PM. 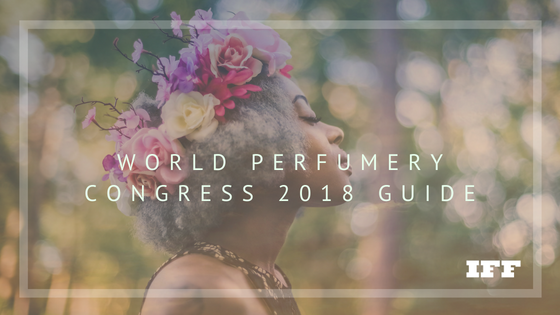 Download the official 2018 World Perfumery Congress Mobile App and star this session to add it to your plan. Join the conversation online: Use hashtag #WPCNice and follow us on Twitter, Instagram, and LinkedIn to get our live updates from the event floor and tag us to share your photos. We will see you there!